Vichar Shila, the place where His Holiness Shankaracharya Swami Swaroopananda Sarasvatiji did penance for 12 long years and obtained realisation. There are very few places in the world which are accessible to devotees who are keen to visit and pay homage to the divine place where their Guru obtained realisation. 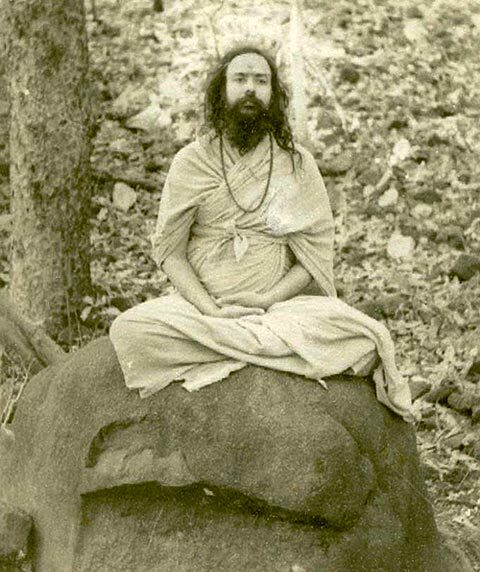 His Holiness came to Shridham in the year 1943 and was in search of a place where he could do his “TAPASYA” and “DHYAN” (meditation) for hours and not be disturbed. In the year 1943 it took him three days to walk to Paramhamsi Ganga Ashram, which today takes 20 minutes by car, as there was no road and it was walking through rugged jungles, dense vegetation, wild animals used to roam and not many people wandered around the area. 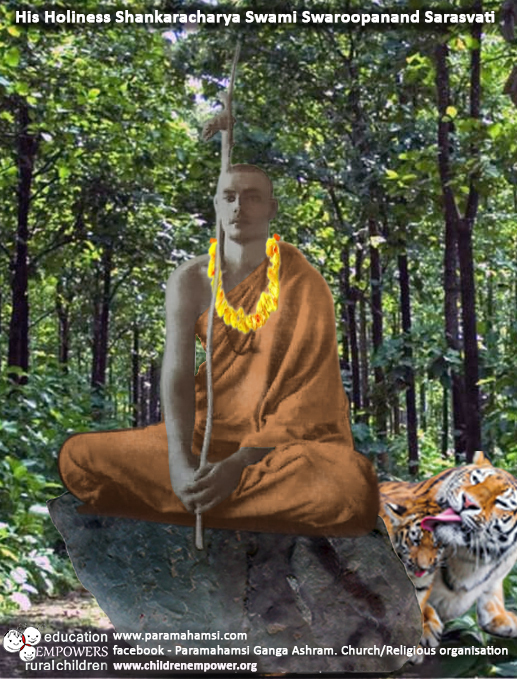 He found “Vichar Shila” which was a divine place, surrounded with mountains, thick dense forest where wild animals lived and sat around His Holiness when he meditated. Even today after 66 years wild deers come in the early hours of the day.